Concerned for someone you know? The Haven is a refuge that provides emergency, temporary, supported accommodation for women and children who have experienced domestic abuse. The house is set in large well maintained grounds with a play area and plenty of space for children to play and run around. There are 4 family sized bedrooms, large lounge, dining room, kitchen, utility area with laundry facilities, children’s play room and an office. In residents own words – The Haven is a safe, comfortable, clean, modern, warm, fun, spacious, supportive, homely, welcoming, temporary place to stay, ‘my children were very happy there’. Davis House is a refuge that provides emergency, temporary, supported accommodation for men and children who have experienced domestic abuse. The new purpose built house is wheelchair friendly and has 4 family sized bedrooms, large lounge, dining room, kitchen, utility area with laundry facilities, children’s play room and an office. In residents own words – Davis House is safe, friendly, clean, comfortable, a lifeline and first step to recovery. Anyone can request refuge accommodation from MFCC, call 01686 629 114 and a member of our team will check availability and whether refuge is right for you. Over 90% of families coming to stay at the Haven over the past 3 years have been local residents of Montgomeryshire. You will be given the time you need to rest and recover before having to decide what the next step is for you, to get your life back on track. Each house has a support team and during your stay they can help and guide you in various issues including; following a domestic abuse awareness programme, financial issues and benefits, housing options; as well as supporting you to regain your confidence and independence. There is support for all the children and young people too when they are staying in refuge accommodation. The child will have a designated child worker who will endeavour to make the children’s stay as comfortable and fun as possible. 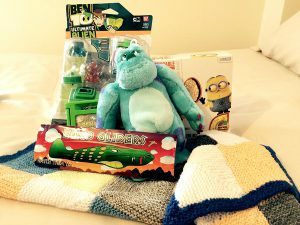 All children receive a welcome pack on arrival with some toys, a teddy and a blanket. The child worker plans weekly play sessions and also day trips out, parties, summer holiday fun and Christmas surprises too, as well as spending time with the child to give them the opportunity to talk about their feelings. Even when children don’t actually witness abuse, they usually know it is happening and it can affect them significantly. MFCC run a group programme called S.T.A.R. Club, (Safety Trust and Respect) providing a safe, fun and confidential space for children to understand and explore their feelings around what they have experienced at home. The group uses a mixture of games and activities to work through the subject of domestic abuse, and how to manage feelings. We also provide 1-1 support in schools as part of the assessment to get young people ready for S.T.A.R. Women’s Aid have created “The Hideout” website to help children and young people to understand domestic abuse, and how to take positive action if it’s happening to you. Click on the logo to take you to the site which includes a virtual refuge. The aim of this service is to enable you to feel more secure within your own home and local community, keeping yourself and your children safe. 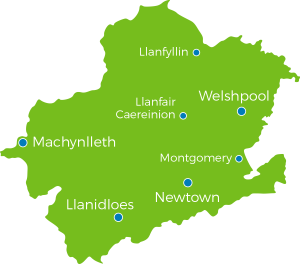 The team can meet you anywhere in Montgomeryshire as they can travel to a location you feel comfortable with. They will assess your risk and discuss safety plans with you, assist you through a specialist domestic abuse programme, to raise awareness of issues such as ‘what is domestic abuse, what are the causes and what is the possible effect to children’. They can offer support with solicitor’s appointments, court hearings, safeguarding meetings, health, education, mental health, drugs and alcohol misuse. We pull in experts when needed and work in partnership with many agencies. We take a flexible approach with every client as everyone has their own strengths and weaknesses. The community support team will encourage confidence and independence to enable you to move forward to develop healthy, respectful relationships in the future. Anyone experiencing domestic abuse can request community support from MFCC, call 01686 629 114 and the team will discuss the service provision further. Twelve modules which are carried out as one to one sessions. It aims to enable survivors of abuse to be able to identify and recognise different types of abuse, as well as to empower and build confidence so that they can move forward and live fear free. A 12 week course which aims to assist and equip any individual with the knowledge you need to recover from the effects of domestic abuse. The Recovery Toolkit is a useful follow on from the safety and awareness programme or Freedom Programme. Who is it for? For individuals who have experienced and/or are recovering from domestic abuse. The content of the course evolves each week to help you develop coping strategies and grow stronger.